The idea that we should all have a personal “Board of Directors” is not new. Your Board is the group of trusted individuals, selected by you, who can help you on your personal leadership and career development journey. What is new is that there is now a free, downloadable toolkit that sets out a step-by-step approach to creating your own Board. The designers are Fiona Gifford and Rachel Calder. They met in the summer of 2011 when they were involved in the early stages of the development of a social enterprise aimed at supporting women leaders to achieve their ambitions. Fiona and Rachel wanted to do something really practical and scalable; so “My Board of Directors” was born. The Toolkit consists of seven simple exercises that you can complete all at once, or over several sittings. You can do this alone, with a coach, or with friends or colleagues. Future Mapping – a process of exploring the possible futures that could unfold for you. In the process, you consider both what is “known” and “unknown”. Future Challenges – exploring and assessing the challenges that your Future Map may hold for you and examining your feelings about these. Dreaming – articulating the futures you most desire. “Board Members” – identifying what roles you need on your Board of Directors. Gap analysis – thinking about the resources you already have to fill the roles, what gaps there are and whether there are other ways to fill the gaps. There is also a list of useful websites and other resources. 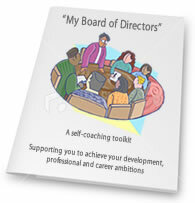 Although the idea for “My Board of Directors” was originally conceived as a toolkit for women professionals and leaders. It is available for anyone who can use it. Fiona and Rachel have given their time and expertise to this initiative and Fiona’s company has sponsored the website. All they ask is that you “pay a small fee” by passing it on, lending your coaching, mentoring, networking or other support to another emerging leader, or contributing in some other practical way. 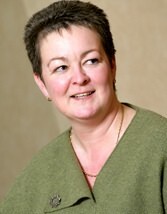 Rachel Calder is Director of First Potential. 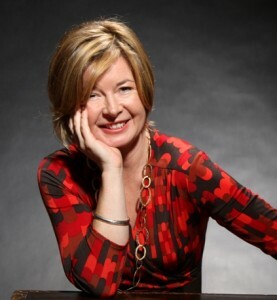 She is an experienced, certified and accredited Performance Consultant, specialising in MindBody Intelligence.